Wild cats of the series of novels written by a group of authors known for their mesmerizing adventure. Artist Dan Jolley created an exciting manga-books about cats-warriors. Many fans, wanting to portray a favorite character, this stops the lack of artistic experience. It turns out that there are special training techniques that will help to cope with this task. Before you draw cats-warriors, you should carefully look at the manga to understand the technique and details image of the main characters. How to draw a fearless cat warrior that the process was most interesting, and the result is really impressive? First, you must prepare. Before you start painting, prepare the necessary tools for creativity: pencil, eraser and a sheet of paper. For conceptual works best is a pencil with hard lead – lines are thin, if necessary, they can always be corrected. When making images, give a richness and expressiveness, use a soft pencil. Eraser must be of good quality, do not leave dirty marks on the paper while removing unnecessary circuits. Consider the scheme, how to draw a cat warrior pencil step by step. To create an accurate image, start with the simplest lines and shapes. 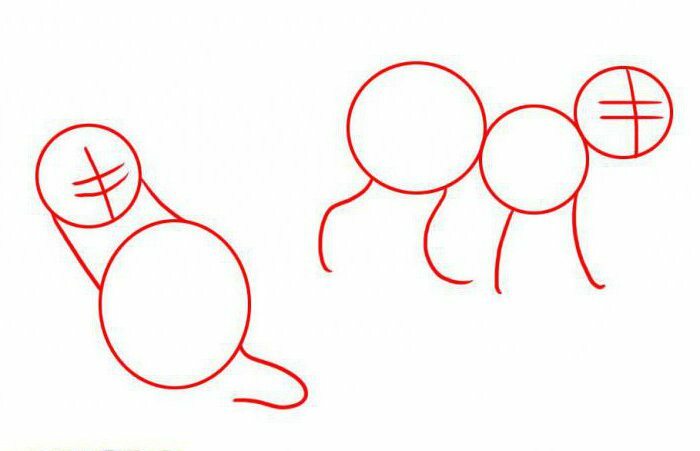 Draw on the paper circle, forming the basis of – the head and body. 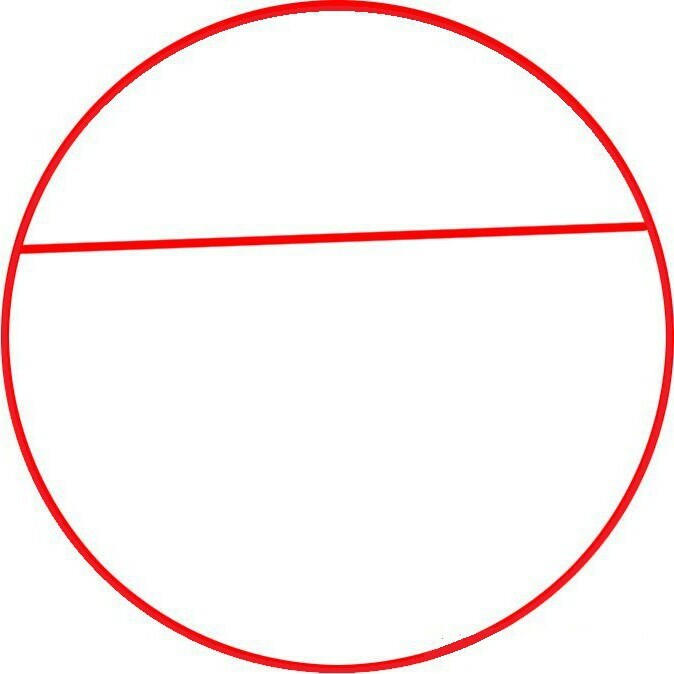 In the circle of smaller size indicate the structure of the future faces. Flowing lines mark the outlines of the legs. Detail face – draw triangular ears, big eyes, nose, mouth. Give expression to the inherent nature of the drawn character. Next stage is the line of the back, abdomen, front and hind legs. Drawing the breast, do this by using strokes that mimic hair. Extend the line of the contour of the back to form a tail. Initial sketch is ready. The final stage of the scheme, how to draw cats-warriors in stages, take a closer look. Gently remove the excess lines with an eraser. Pay attention clear detail - carefully draw whiskers, eyes, fingers, legs, hair. For a picture to be alive, you should give it more naturalness. To do this, take a soft pencil. Shading lines, create areas of shading and highlights, add some shadows for the volume. Now that you have completely finished the sketch, you can draw a picture with colored inks. 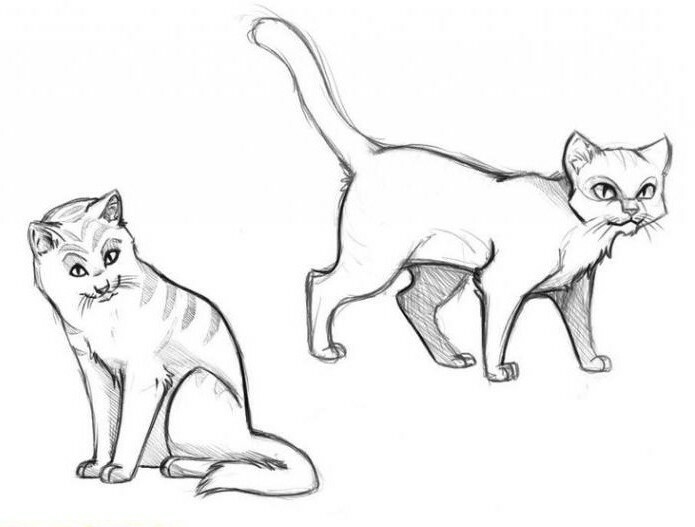 after evaluating the process, you will understand that the task of how to draw cats-warriors, it is not difficult. The essence of step-by-step drawing consists in the gradual creation of the painting. 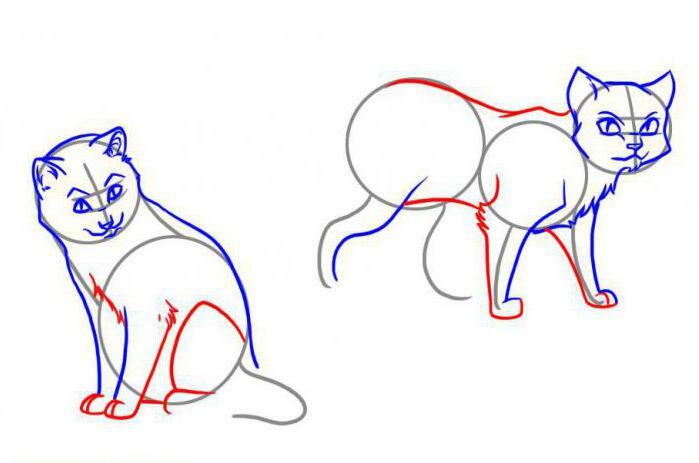 A simple scheme, which discussed in detail how to draw cats-warriors, useful to inexperienced master. 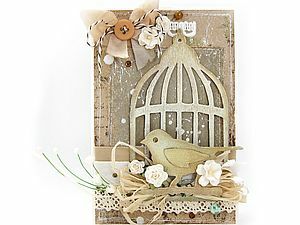 Even an Amateur can master the basics of artistic skill and create a beautiful pattern quickly and easily. This is a great way of drawing, which can be used by any budding artist.